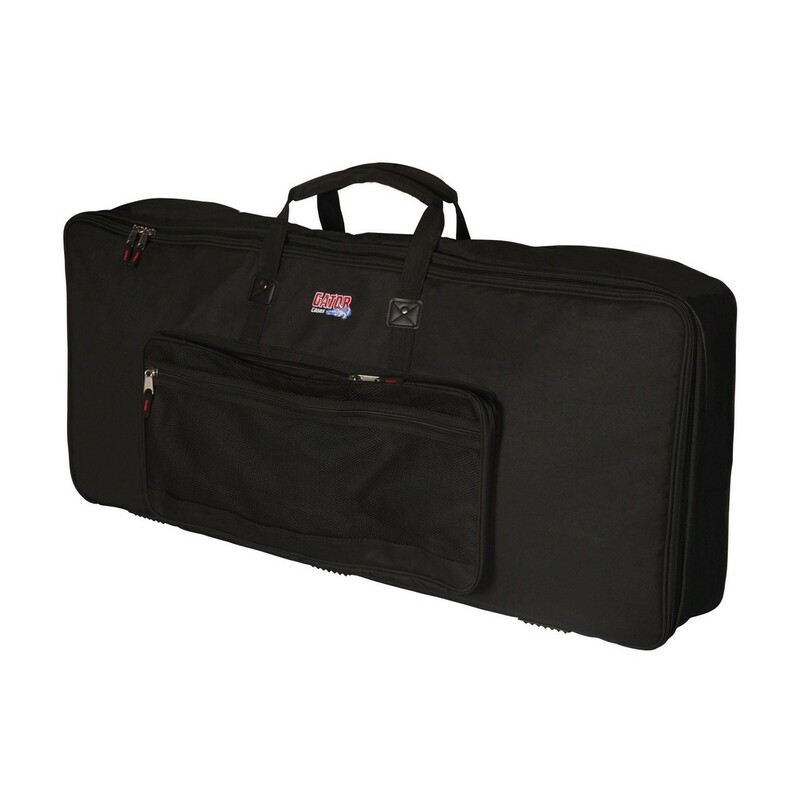 The Gator GKB-61 Keyboard Gig Bag is designed to accommodate 61 key keyboard. Made from 600 Denier Nylon, the Gator GKB-61 offers more protection than a traditional gig bag and has adjustable internal padded straps which ensure your keyboard remains secure. 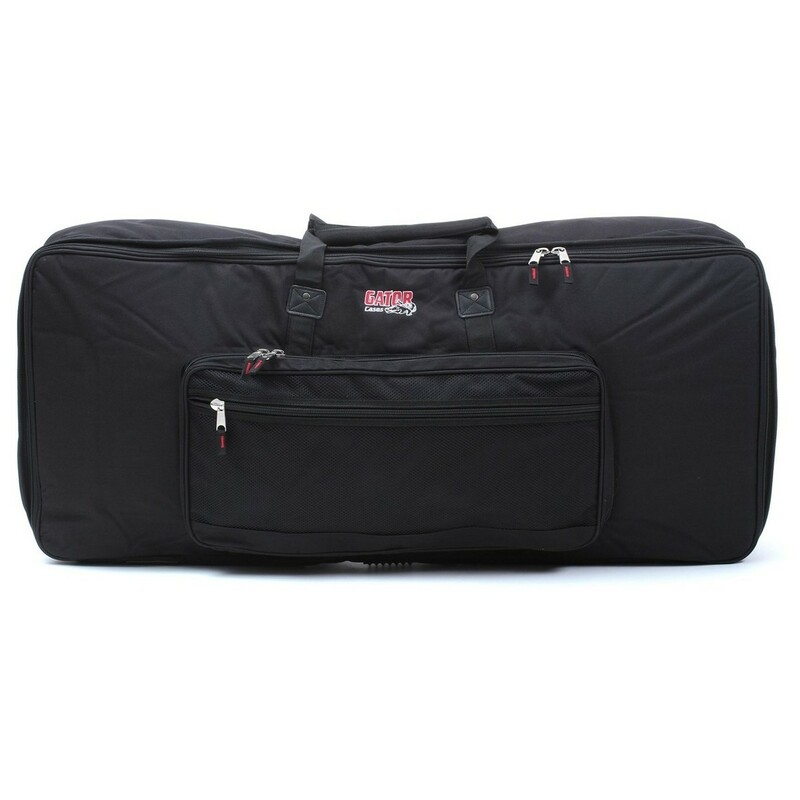 The GKB-61 gig bag features an exterior storage pocket that is ideal for pedals, cables and other accessories. Complete with plenty of padding and reinforced carry handles, the Gator GKB-61 case is perfect for transporting and storing your keyboard. Please Note: The images shown are for display purposes only, and the Gator GKB-88 Keyboard Gig Bag does not include the keyboard shown.